Rent College Pads is a student-focused marketplace helping college kids find, compare, and decide on apartments near TAMU. We offer tools specifically suited to students looking for a place to live near campus. If you’re looking for roommates, check out our Facebook integrated roommate finder where you can see other renters looking for housing. Filter our TAMU off-campus housing options by bedroom, bathroom, amenities, pet allowance, and more to help you find the perfect pad. The leasing season at TAMU begins at the end of the fall semester and runs through early spring. There is no shortage of apartments near campus, but getting started as early as possible gives you the best chance of finding the perfect pad. More luxury apartment complexes have popped up in College Station over the past five years, making the average rent appear higher. If you're willing to live with roommates or a bit further off campus, your expenses will drop considerably. There are several apartments and/or houses near the TAMU campus that four friends can occupy for less than $500/Rm per month. Rent for a single bedroom in College Station typically ranges between $400 and $1500 per month. Brazos Valley Farmers Market on a Saturday morning for some local food and crafts. Though a metropolitan area, College Station offers activities to appease lovers of the outdoors. The city maintains more than 1,400 acres of parks and facilities throughout the community for recreational use. If you're active, take advantage of the many athletic fields, hiking trails, swimming facilities and wildlife centers the city has to offer. Many students find themselves heading to the Northgate District for fun on a weekend night. Located North of the university, this area is widely considered to be the most vibrant and is a commercial and entertainment hotspot. Here you'll find live music venues, restaurants, bars, shopping and more. Located in the southeast part of College Station is the Southwood Valley District. The area is encompassed by Deacon Drive to the north, east of Rio Grande Boulevard, south of Harvey Mitchell Parkway, and west of Longmire Drive. Comprised of a few different communities, Southwood Valley is located about a half-mile away from the Earl Rudder Freeway. Most of the neighborhood is residential with the majority of homes being single-family houses occupied by families. However, the Texas A&M University campus is upwards of just 2 miles away. The Harvey Mitchell Parkway has a Wal-Mart Supercenter, bank, post office, and library. One mile south, there are more shopping and dining choices at the Rock Prairie Crossing retail centers and the Rock Prairie Marketplace. Southwood Valley is home to the College Station Medical Center and next door to that is Southwood Park. Southwood Park has baseball fields, soccer fields, volleyball courts, basketball courts, a playground, and a large community pool. The Wolf Pen Creek District, a major commercial area, is located between State Highway 6 and Texas Avenue and runs alongside the Post Oak Mall. 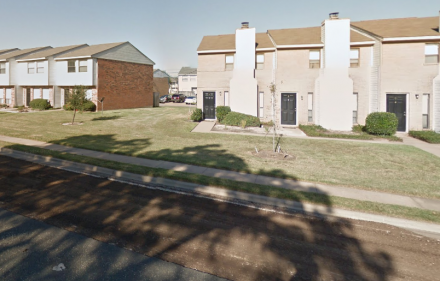 Less than two miles from the Texas A&M campus, much of the housing in this district serves the university students. Many of residential units in Wolf Pen Creek are rentals. There is a good mix of houses and apartments and some of the units will come furnished. Being that Wolf Pen Creek is a large commercial district there are several warehouses, shops, restaurants, and business parks. The Post Oak Mall has over 100 different shops and restaurants located within in like Dillard's and Macy’s. Residents are also located close to a Sam’s Club and Krogers, making grocery shopping convenient. Wolf Pen Creek residents can also enjoy the Spirit Ice Arena, a small lake, numerous walking trails, and the Wolf Pen Creek Amphitheater. The 1.5 million dollar amphitheater hosts a variety events throughout the year such as the Starlight Music Series that begins in the late spring and runs through the summer months. Residents will bring lawn chairs and blankets to enjoy the music and there have even been performances from artists like Tim McGraw here. College Station is a city built around the Texas A&M University campus. The Northgate district, which was established as the university’s population grew, is located just north of the university and is a mixture of residences, entertainment, and businesses. The district is defined as the area bounded by Wellborn Road to the west, the College Station city limits to the north, South College Avenue to the east, and University Drive to the south. Being that the Northgate District is so close to Texas A&M many of the residents in this area are college students, along with university faculty, and some permanent residents. There is a good mixture of both homes and apartments, and here, you’ll find several off-campus student housing complexes. 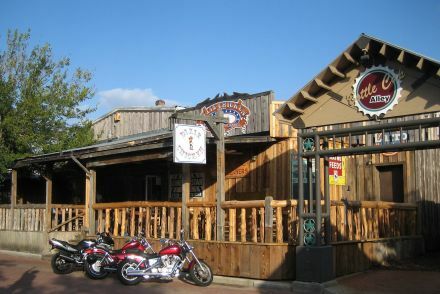 The neighborhood has gone through a lot of revitalization and has become the center for College Station entertainment. Northgate is an extremely lively area with a great mix of restaurants, bars, and shops. Many of these establishments are favored by Texas A&M students and many of these businesses employ the college students. From fast-food spots, like Freebirds World Burrito or Dixie Chicken, to sit down restaurants offering pizza parlors and Mexican, you can find a wide variety of eateries in Northgate. On any given night you can catch live music performances in Northgate hotspots like Hurricane Harry’s and Church Street BBQ, which is a big draw for country music lovers throughout the city. In 1998, a four-day music festival called “North by Northgate” was created. In 2002, the festival name was changed to “Northgate Music Festival” and continues to be held each year. Running adjacent to the neighborhood is Hensel Park. 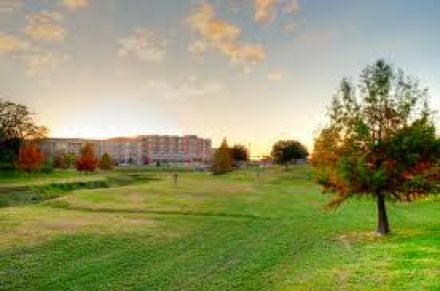 Popular amongst Texas A&M students, the public parks offers a fitness center, picnic pavilions, trails, baseball fields, and a volleyball court.